« When is the best time to sell? 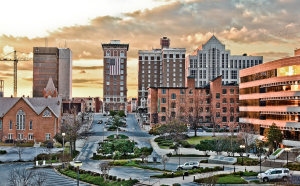 Despite all that Greenville, SC, has to offer, it may be surprising to learn that the area also boasts a relatively low cost of living. The Council for Community and Economic Research (C2ER) produces a report each year called the Cost of Living Index (COLI). It is considered to be the most trusted source for comparing the cost of living in cities around the United States. COLI data is recognized by the U.S. Census Bureau, US Bureau of Labor Statistics, CNN Money, and the President’s Council of Economic Advisors. An index score of below 100 indicates the area is less expensive than the average across the country, while a score of over 100 means the area is more expensive than the average. Additionally, South Carolina has one of the lowest median property tax rates in the United States, with only five states collecting a lower median property tax than South Carolina. 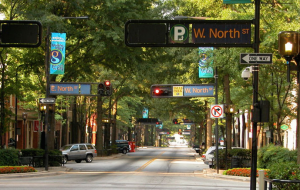 Greenville, SC, offers a range of desirable neighborhoods, with homes ranging from the 1900s to new construction. Within a mile of Downtown Greenville, you can find yourself in the tree-lined streets of North Main and Augusta Road. Other areas offer a more suburban lifestyle. While some of these areas can be more expensive, the median value of a home in South Carolina is $137,400, and the median property tax is $689.00 per year. 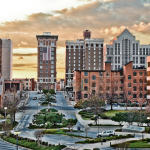 To take advantage of Greenville, SC’s incredible lifestyle, low cost of living and exceptional property value, contact me today.